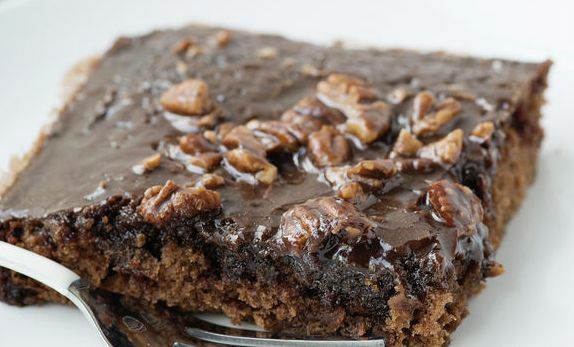 The Classic Texas Sheet Cake is a family favorite and most have heard of it, ate it and loved it. 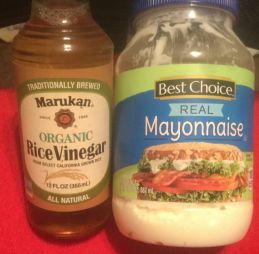 Everyone I know makes theirs slightly different from one another but this is the recipe that I have used for over 20 years. Why change a good thing?! Doesn't it turn out so pretty?! If you have never had a piece, you are in for a TREAT! 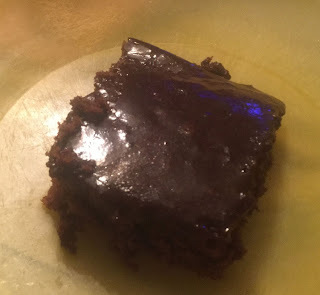 It is rich & super moist. It is super addictive too. You can't eat just one bite. You'll keep going back for more and more and more! 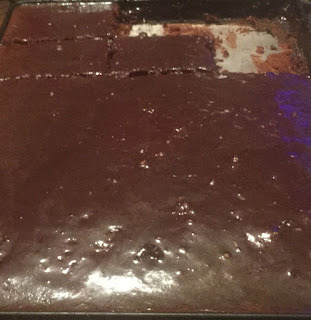 It really is the best chocolate cake that there is. Hands down! This is one we made with the pecans. I actually prefer it WITH the pecans myself. In a mixing bowl, combine the flour, sugar and the salt. Set aside. 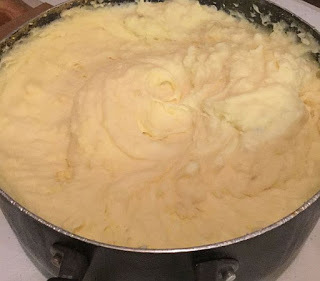 In a small saucepan, melt the butter for the cake over medium heat. Add in the cocoa and stir well. Add in the boiling water and allow it to cook for 30 seconds then turn off the heat. Pour in the flour mixture and stir lightly. Allow to cool slightly as you do the next steps. 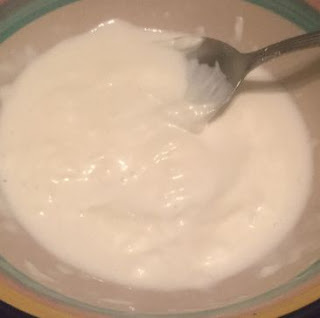 In a medium bowl, pour in the buttermilk, the beaten eggs, baking soda and vanilla. 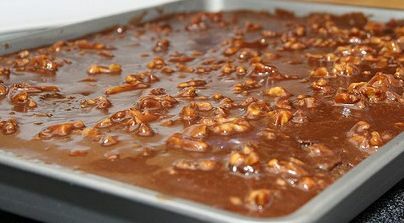 Stir and then pour into the chocolate mixture, stir and then pour into a large sheet cake pan. Place in the oven and bake for 20 minutes. While the cake is baking, prepare the frosting. Melt the butter for the frosting in a small saucepan over medium heat. I just use the same one I used for the cake. Add in the cocoa, stir and then turn off your burner. Add in the milk, vanilla, and powdered sugar. Stir together. Add in the pecans if using them. When the cake is done, pour it on and serve. We started eating on it fresh out of the oven. So good when it is nice and hot with a cold glass of milk! We prefer to eat ours warm but it is fine to eat it cooled too. Whoever eats it will be indebted to you. This one was made without the pecans because Ronny doesn't really like nuts! It is a true staple for people of the South, including this Okie. So tasty! A go-to recipe for any occasion! If you serve it, be prepared to be hounded for the recipe! This recipe was featured at Carrie's Cooking on her Whisk It Wednesday Blog Party! This is the epitome of comfort food. So delicious. Ron and Bub work hard on our homestead. They spend their days tending to our animals and taking care of the land's upkeep. They build fences; they haul hay; and they repair pens. Needless to say, they work hard day in and day out. When they come in for a meal, they are HUNGRY! They want good ole country food. Comforting food. They want meat, taters, and gravy and this meal is right up their alley. 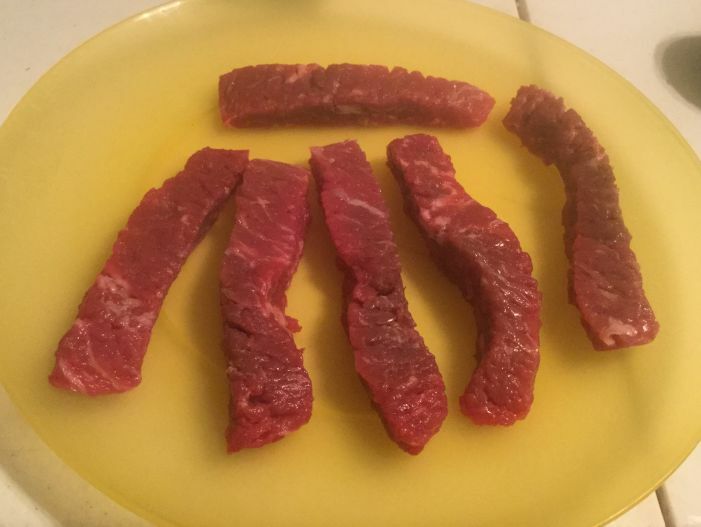 Cut up the steak into 1" strips. In a shallow pan (I often use pie plates) stir together the flour, seasoning salt, and pepper. In another shallow pan stir together the milk and whipped eggs. Take a few strips of the meat and dredge each one through the flour mixture. Be sure both sides of the meat are covered. Then dip them into the egg mixture and then back into the flour mixture. Do all the meat this way. Fill the bottom of a skillet until there is about 1/2" of oil in the bottom of it. Turn the heat onto medium-high. Once the oil is hot, carefully place a few pieces of meat into the hot oil. Fry them until they are brown on one side and then turn them over and fry them until they are done. 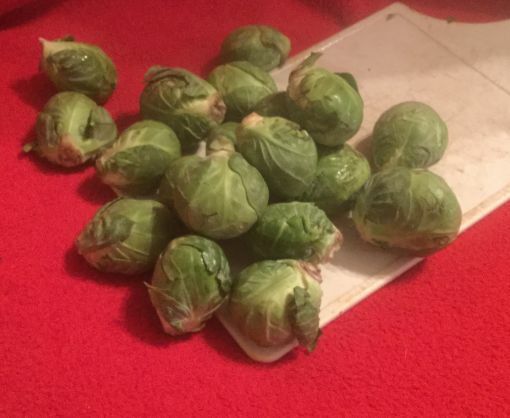 Remove them and place them on a a paper towel lined plate. Keep frying them this way until they are all done. 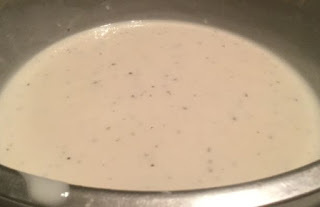 To make the gravy, pour off the oil that is in the skillet and place it into another dish. Now measure up 1/4 cup of this oil and place it back into the skillet. Turn the heat onto medium-low. Sprinkle in a few tablespoons of flour. 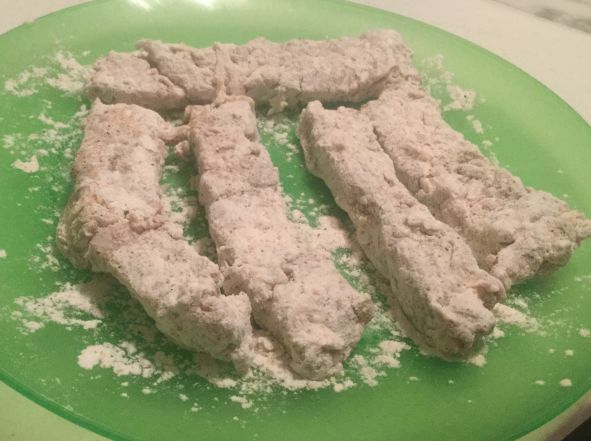 I just use the flour I dredged the meat through. Whisk the flour into the oil until it becomes a smooth paste. 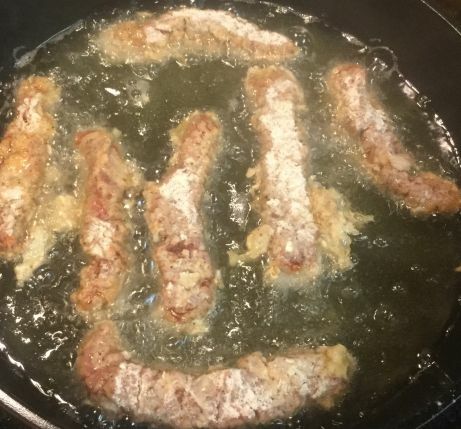 If it is too greasy, just add in more flour. 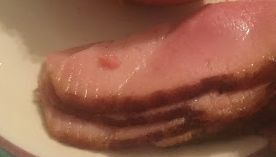 Once it is a paste, allow it to brown just a wee bit. Now pour in the milk. Whisk the gravy and cook it for 2-3 minutes or until it starts to thicken. Serve and enjoy. 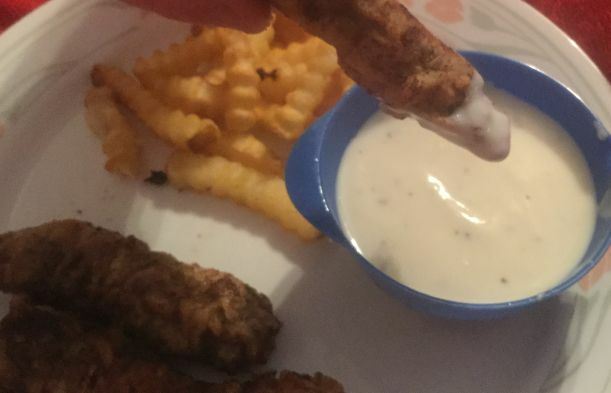 Serve the steak fingers with the gravy and with french fries or mashed potatoes. Also good with some homemade biscuits. This is a family favorite using leftover chicken from other meals. It is a simple recipe that really packs in the flavor. I like to make this a lot in the summer time when it is just too hot to cook. 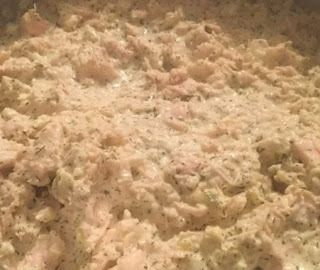 In a medium sized bowl, mix together the mayonnaise, lemon juice olive oil, the relish, garlic, the onion powder and all the spices. Stir well. Take your boiled eggs and chop them up and then add them into the bowl of the mayonnaise mixture. Finally, stir in the chopped chicken. This recipe is so easy to adapt to your own personal tastes. Just add or omit whatever you like. Some other things that could be added include: chopped celery, crumbled bacon, toasted almonds, seedless grapes or even some raisins. Spoon up the chicken salad and eat it on plain bread; a sliced croissant, or even on some saltine crackers. We have even scooped some up and placed on a large lettuce leaf and topped with a few slices of fresh tomatoes and eaten it that way. No matter how you eat it, it is scrumptious. You will find it hard to stop eating. 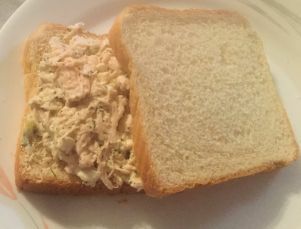 Many people keep their chicken salad pretty basic and don't use really any spices or just very few. 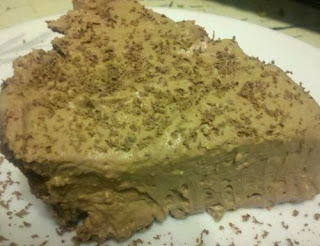 I implore you to try my recipe and you will be blown away by the flavors and will never fix it another way ever again. Trust me! How in the world is it already almost Easter? This year has FLOWN by but as much as I cannot believe it, the truth is, Easter will be here in just a few weeks. I'm trying to make life easier on you by putting some of my best recipes here in one spot for you to be able to plan your perfect Easter brunch and Easter dinner. French Toast Casserole is perfect for Easter Brunch. 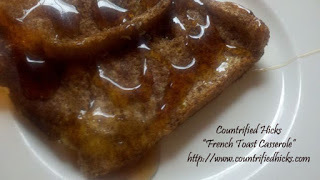 It makes a cake pan full of moist and delicious French Toast without all the work of making them individually. And don't forget the coffee: French Vanilla Coffee or perhaps a Double Chocolate Chip Frappe is more to your taste. No matter which you decide, both are a perfect start to your Easter morning. Now that brunch is over and done with, let's move on to Easter Dinner. Here is a list of recipes to help you host a memorable holiday, all in one place. My Pineapple Glazed Ham is a crowd favorite. It turns out moist and packed with flavor. In the South, no meal is complete without potatoes and no matter whether you prefer Sweet Potatoes or Homemade Mashed Potatoes, we got you covered! A very elegant vegetable to serve that not only tastes wonderful but looks good too is Oven Roasted Asparagus. They turn out tender, flavorful and are a vibrant green and are a perfect addition to your holiday table. I like their to be several different "colors" of food when I host dinner parties because your table setting looks more complete and polished this way. I love to cook these Honey Glazed Carrots for several reasons. Number one they are orange; number two they taste AMAZING and number three they cook in the crock pot so they are almost effortless to make. 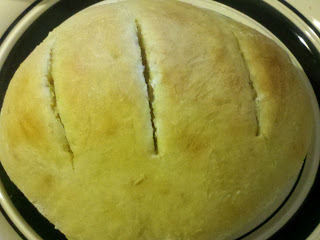 And of course, no meal is complete without bread. We often serve an Artisan Loaf of Homemade Bread. Artisan Loaf of Homemade Bread. Isn't it beautiful?! Why not mix up a punch bowl full of Sparkling Pineapple Punch. It is the perfect combination of sweet and tangy in a cool and refreshing beverage. Chocolate Mousse Pie. Yes, it tastes just as scrumptious as it looks. 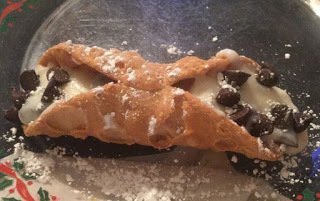 For the adults, a more "grown-up" dessert choice would be cannolis. 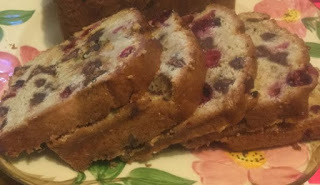 And last but not least Cranberry Chocolate Chip Bread. Well, I hope I have at least given you some inspiration and I pray you each have a wonderful Easter! Anyone who has spent time on my blog or Facebook page knows that I love to dehydrate. I try to dehydrate about anything and everything. 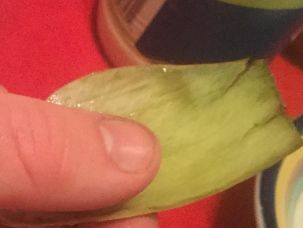 In fact, I recently even dehydrated ALOE VERA. 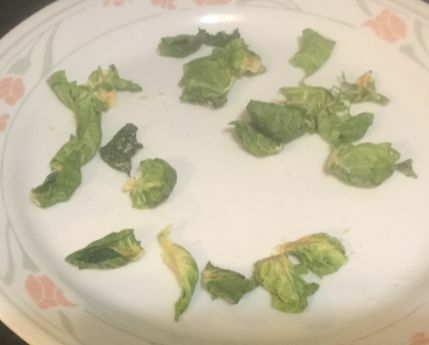 Recently I was having Brussels sprouts with my dinner and it got me to thinking "can you dehydrate Brussels sprouts" and I decided it was doable. I am so very glad I did try it because these little "chips" turned out really good. 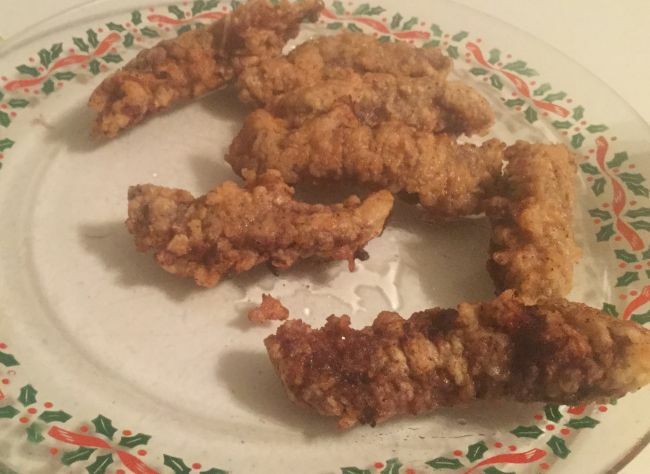 These "chips" turn out crunchy and delicious. They have a real nice and fresh taste to them. Best of all, they are really good for you. Since you dehydrate them and do not cook them, all the nutrients are still present. 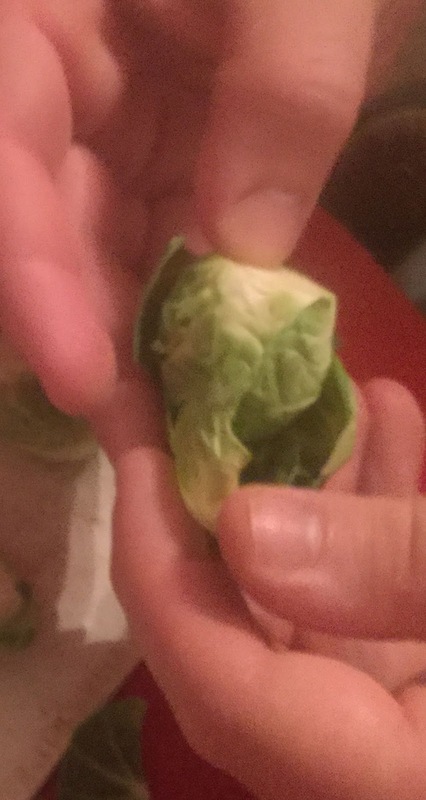 Anyway, I love these Brussels Sprouts chips and I hope you do too. These are super easy to make. To begin, cut off the "stems". Now start peeling off the little "leaves" and pull off as many as you can. When you have pretty much all the leaves off, place the leaves into a colander and set the "hearts" aside to be used in a future meal. Run cold water over them to rinse them well. Shake to remove the excess water and lay them out on your dehydrator trays and sprinkle them with sea salt and Parmesan and Romano cheese. 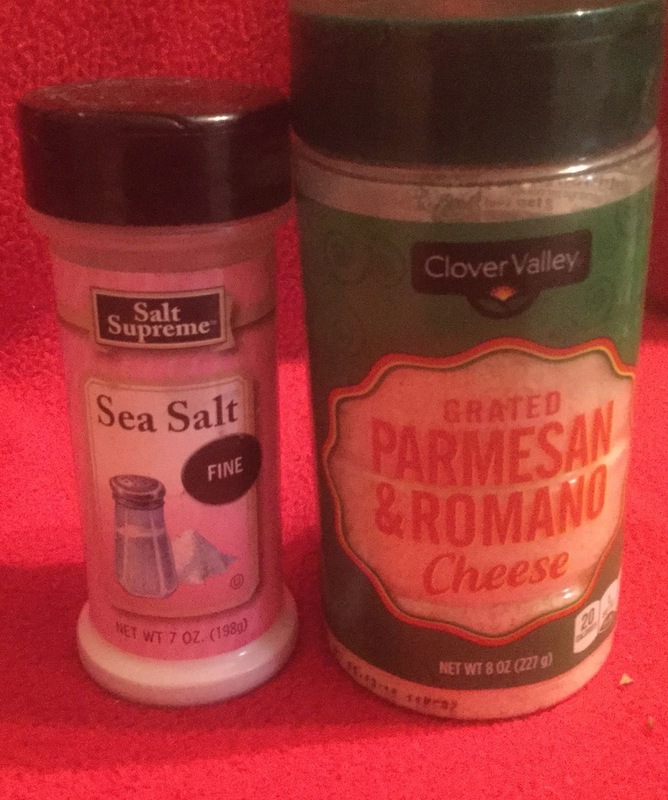 Other flavor combinations include garlic powder and onion powder or even red chili flakes. The best part about dehydrating these is that the bitterness completely disappears and they are much more substantial than kale chips. Place the dehydrator trays back into your dehydrator and turn it on. 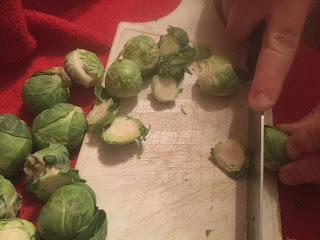 It only takes about 2 hours for the Brussels sprouts to turn crispy. Once they are done, remove and try not to eat them all before you can place them into a mason jar. 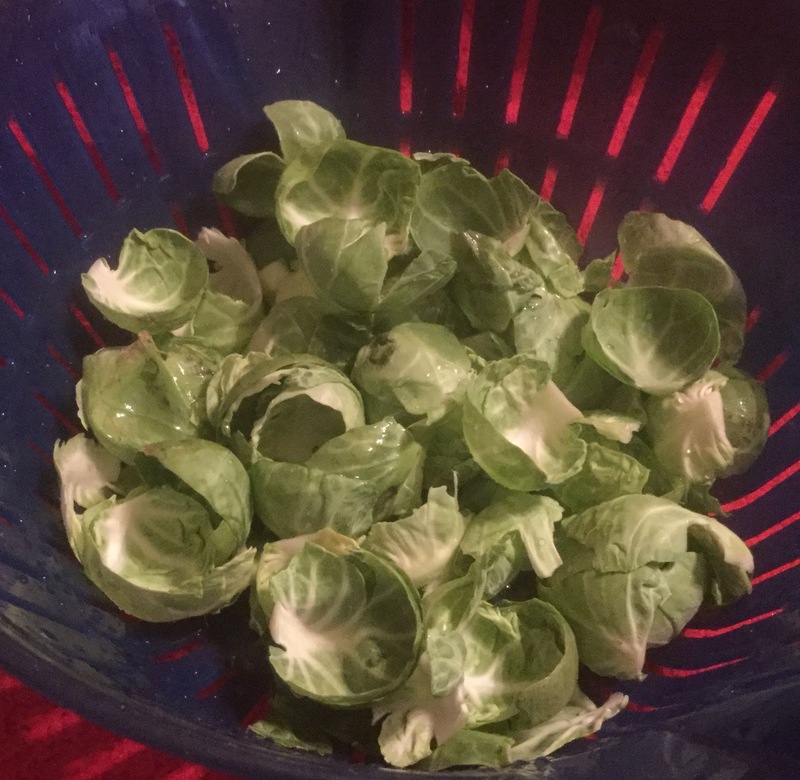 They are great to eat as a snack or throw them into a salad for a yummy crunch. 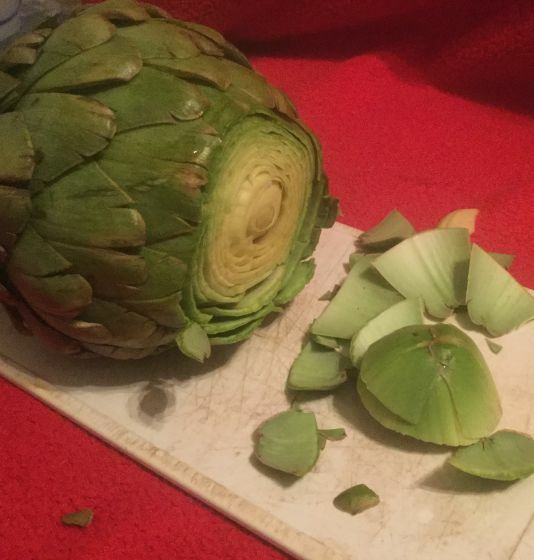 If you did not grow up eating artichokes or have never seen them prepared, they can be a bit intimidating. 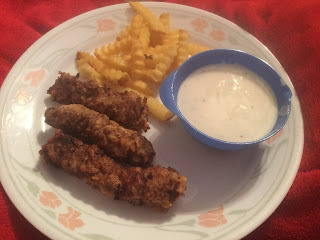 They are not easy to figure out on what to do with them just by appearance so today, I am going to show you how to cook, prepare and eat them. Artichokes are not only yummy but they are nutritional powerhouse too. Did you know that just one medium sized artichoke contains 6 grams of fiber??? That is MORE fiber than an entire CUP of prunes!!! Artichokes also contain 4 grams of protein, which is pretty significant for a vegetable. They also contain antioxidants and probiotics. If you have never tried artichokes, now is the time to give them a chance. They are buttery smooth and have a really nice and pleasing flavor that is subtle but hearty. Okay, the first thing you need to do is cut of the top of the artichoke. 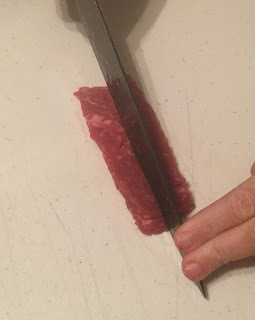 I used large kitchen knife to remove about the top inch of it. Next, using kitchen shears, cut of the tips of the petals. 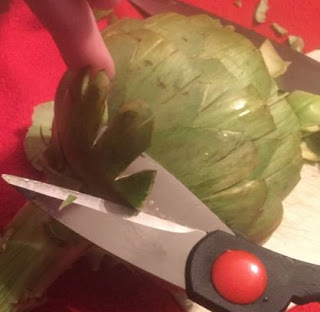 Now cut off the smaller petals that are near the base of the artichoke. 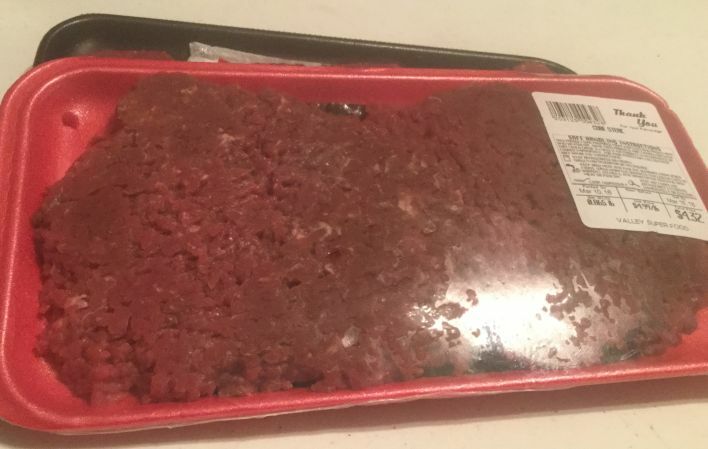 They will be too bitter to eat so it is best to remove them. 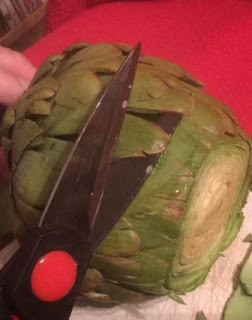 You can cut off part of the stem too if you wish. If you do cut it off, be sure to leave about an inch of the stem and cut off the rest. We just left the stem alone. 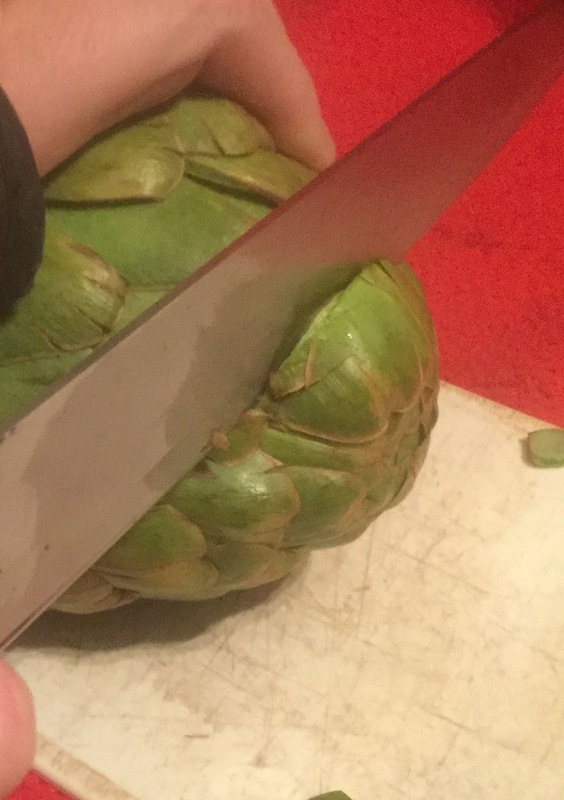 At this point, you need to rinse the artichoke again in some cool running water. I kind of separated the petals a bit so the water can get into all the nooks and crannies. Now you are finally ready to actually cook the artichoke. Fill a large pot with water and stir in 1 teaspoon of salt. Turn your stove onto high and bring the salted water to a full boil. 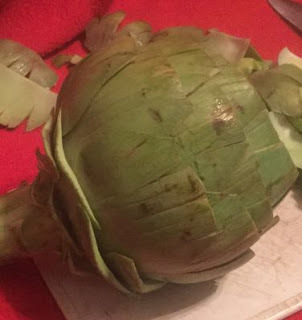 Once it is boiling, gently place the artichoke into the pot and return the water to a full boil. Once it is boiling again, turn your stove to low; cover the pot and allow it to simmer for 25 minutes. 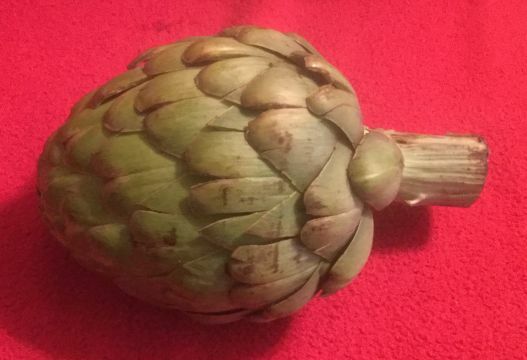 You can eat artichokes either hot or cold but we prefer to eat ours hot. 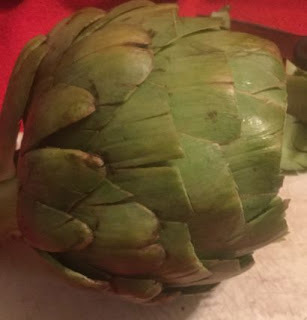 You can eat the artichoke leaves by themselves or dip them into a few tablespoons of melted butter or make yourself a dip. 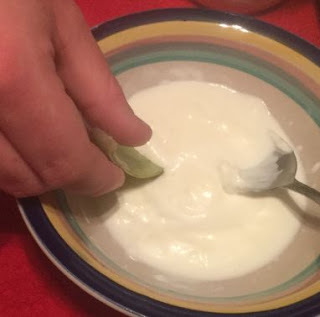 We make up a dip that is made from 2 tablespoons of mayonnaise mixed with 1 tablespoon of rice vinegar. Put the mayonnaise and the vinegar in a bowl and stir well. That's all there is to it. In case you do not know HOW to eat artichokes, just pull off the outer petals one at a time. The end shown is the part you should hold and dip the other end into the dip. Dip the fleshy end of the petal into the dip. Now, place the petal in your mouth, dip side down. 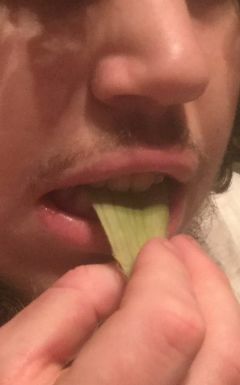 Now, pull the leaf through your teeth to remove the soft, pulpy part of the petal and then throw away the remaining petal. Continue eating them this way until all the petals are removed. And that is all there is to it. Ron and Bub really enjoyed it.